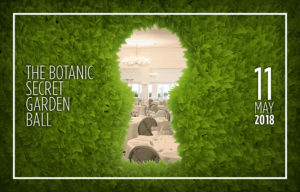 This year we have partnered with Bloodwise for The Botanic Secret Garden Ball, 11th May. The evening will include fantastic entertainment from live band Spectrum, as well as an auction where you could win fabulous prizes. There will also be a chance for you to purchase a secret garden key that unlocks even more incredible goodies, with the aim of raising money for both the Birmingham Botanical Gardens and Bloodwise. 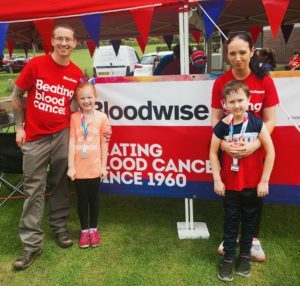 In preparation for this fantastic event, we wanted to tell you more about Bloodwise; the UK’s specialist blood cancer charity dedicated to improving the lives of patients. Around 38,000 people of all ages, from children to adults, are diagnosed with blood cancers and related disorders every year in the UK. Birmingham is right at the centre of Bloodwise work and money from this event will go toward lifesaving research taking place in the city, helping to change the lives of people living with leukaemia, lymphoma, myeloma and other types of blood cancer. Their mission is to stop people dying from blood cancer full stop, making patients’ lives better, and looking for ways to stop blood cancer happening in the first place. Back in 1960, less than 1 in 10 children with acute lymphoblastic leukaemia survived. Today nearly 8 in 10 do. As you can see from the above statistics, by donating to Bloodwise you’re helping to increase the chance of survival for many patients across the world. People with blood cancer should be able to live their lives to the full: free from the fear of relapse; free from side effects and free to do the things they love. Bloodwise work tirelessly to try and achieve this; improving quality of life until blood cancer no longer has an impact. As well as research, Bloodwise also work with patients to improve their care. They use an evidenced based approach to find out what care and support patients need, how those services are currently being provided, and what solutions are required to improve them. They believe in not just identifying problems with patient care, but working to engage and influence decision makers to make a real change happen.